They don’t call it a Compliancy and Ethics Program (CEP) for nothing. Though sometimes overlooked, ethics play an important role in the success of an organization’s compliance culture. Compliance professionals have grown accustomed to differing opinions regarding compliancy topics. Some individuals may have a compliance-focused viewpoint while others see topics from an ethical perspective. In either case, both sides likely feel strong convictions about their stance, and aren’t open or willing to be swayed in a different direction. The best compliance professionals can relate to and understand both sides of such debates. More important, they must see debate between employees over the same CEP as a normal and welcomed occurrence. After all, as long as the debate is kept healthy, it’s vital to inspiring meaningful discussions that further shape the company’s compliance culture. 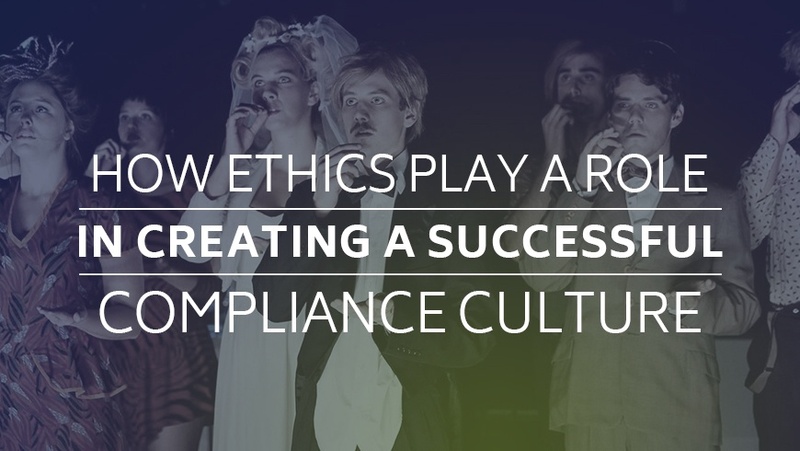 Here’s a deep-level look at how ethics play a role in creating a successful compliance culture, and tips on how you can detect, manage and reconcile philosophical differences. Compliance refers to the rules and regulations that govern an organization. These rules and regulations are usually mandated by local, state or federal authorities, and differ from ethics in that they are standardized, somewhat predictable, clearly defined, easy to access and for the most part—cut and dry. Organizations who operate within the same industry work to comply with the same rules and regulations, and this creates an opportunity for businesses to share different strategies they use to adhere to these directives. Some regulatory guidelines may be interpreted loosely, but for the most part—there’s not much in the way of debate when it comes to the law. The Outside Value System: How a company illustrates its responsibility as a corporate citizen in the community or how it works to protect the environment. The Inside Value System: The company culture; its values and mission statement. Of course, value systems are primarily formed by subjective processes or conditions like the company culture. And company culture is determined by numerous factors, including leadership, market conditions, competitive pressures—anything that significantly impacts business decisions. But in a big way, compliance helps to define ethics by placing parameters around what the industry considers right and wrong. Likewise, ethics encourage employees to act compliantly. Like we said before, the most successful compliance professionals understand that despite operating under the same CEP, employees may have vastly different opinions. The key to success lies in their ability to mediate philosophical debates related to compliance and ethics, and ultimately, their ability to show how the CEP is supported by both industry regulations and good, ethical intentions. Our advice: Don’t attempt to change one employee’s ideology so that it better conforms with another. Opinions related to ethics and compliancy are almost always strong-rooted and attempting to move someone away from their beliefs could result in frustration, hostility among employees or among employees and management, and lack of faith in the CEP. As the compliance professional, you also shouldn’t show your cards. That is, don’t allude to whether you are a compliance-focused or ethics-focused individual. You don’t want employees to feel like their management team is bias. Creating a successful CEP is crucial to the prosperity of your organization, especially with security breaches on the rise. If you’re struggling to get support for your compliance culture from middle management, check out this article for tips on how to get them on board.